Complete Cleaning & Maintenance - Cleaning Services based in Brookwood, Surrey. 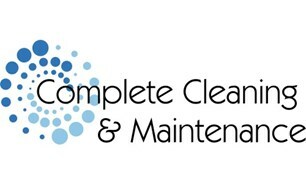 Established in 2003, Complete Cleaning & Maintenance is a family run business, where customer satisfaction is paramount. Not only do we work in domestic properties; we also work within the commercial sector covering a wide range of services, these include: end of tenancy/pre let cleans, builders cleans, evening office cleans, window cleaning, carpet cleaning, fascia and soffit cleaning; gutter cleaning. We also carry out natural stone and hard floor cleaning. We are members of the British Institute of Cleaning Science (BICSs), ISO9001 accredited. Complete Cleaning & Maintenance in Surrey provide a professional and affordable cleaning service across Surrey and cover all local areas including Guildford, Farnborough and Woking.